I'm normally a Pacsafe kinda guy. I like traveling and I like keeping all my gadgets locked down. But sometimes, it is overkill. As great as Pacsafe's stuff are, the extra weight for the Exomesh is sometimes unnecessary. My Pacsafe Metrosafe 300 strap broke (which essentially was the whole point of the bag.) And the GII update of it, no longer comes with the combination lock. This means that the bag can no longer be left unattended. I started looking around for a decent replacement for my everyday kit. Which is essentially my tablet, a P&S camera, and maybe a spare shirt. I considered Tumi prior to Pacsafe, but at the time, their designs were quite plain and didn't have any real features over a regular messenger bag. But their Alpha Bravo line caught my eye and I ended up getting the Monterey Sling in Anthracite color. I ordered it directly from Tumi's website as they offer free monogramming services that the other online sites don't. It's quite a small bag. 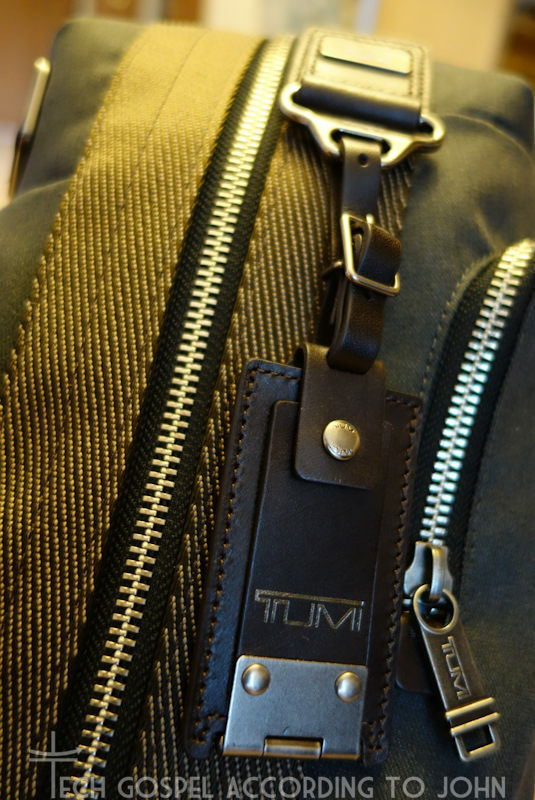 Unlike the Metrosafe 300 which could fit my Macbook Pro 13 and my tablet, the Tumi can only fit a tablet (and maybe a Macbook Air 11, or equivalent) in the dedicated rear compartment. The main compartment is thicker though, so I actually got to fit my DSLR with a 50mm lens, and bring along an external flash, a 35mm lens, and a Sony RX100. I'm pretty sure I could still fit an extra shirt in there too had I arranged things inside better. There's also a dedicated pocket umbrella/water bottle pocket that's lines and has a drain hole. You could stuff a small packable raincoat in here I guess, but It would be a tight fit. The other smaller side pocket is for your keys, cards, wallet, and phone. A caveat on the umbrella pocket though, it extends inwards, so placing something in here takes up room in the main compartment. This sacrifices practicality in exchange for minimalism. At its maximum, the bag doesn't puff out or get deformed and maintains it's sleekness. Depending on your priority, this may or may not be a deal breaker. 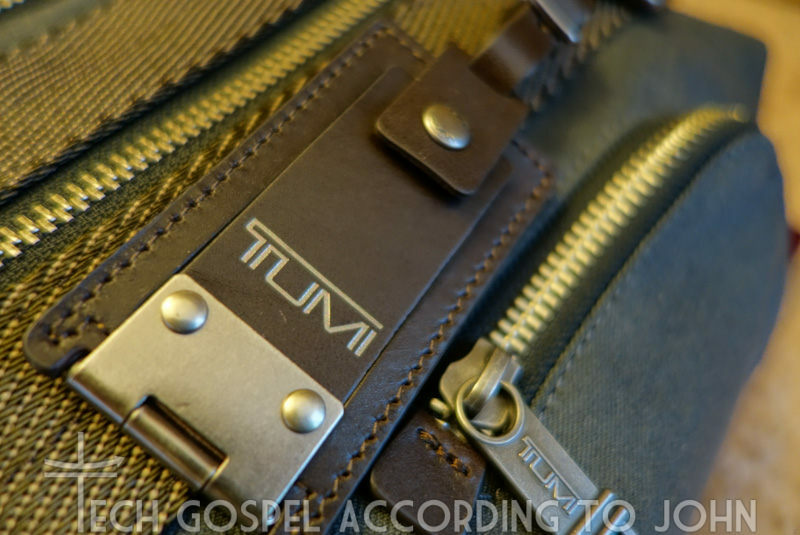 The strap is made of quality nylon with a nice leather accent by the top. Doesn't seem to be as easy to slash as other straps. Not as good as the metal lined straps of Pacsafe, but not as easy to cut as regular nylon straps either. I wish they had padded the upper part or at least placed a rubber grip at the bottom to keep the strap from slipping off your shoulder when slinging over one arm (instead of cross body). The zippers are worth a warning, they look cool, but they are sharp. Not enough to cut you, but they may snag on fabric if you're just yanking it out of the main compartment. 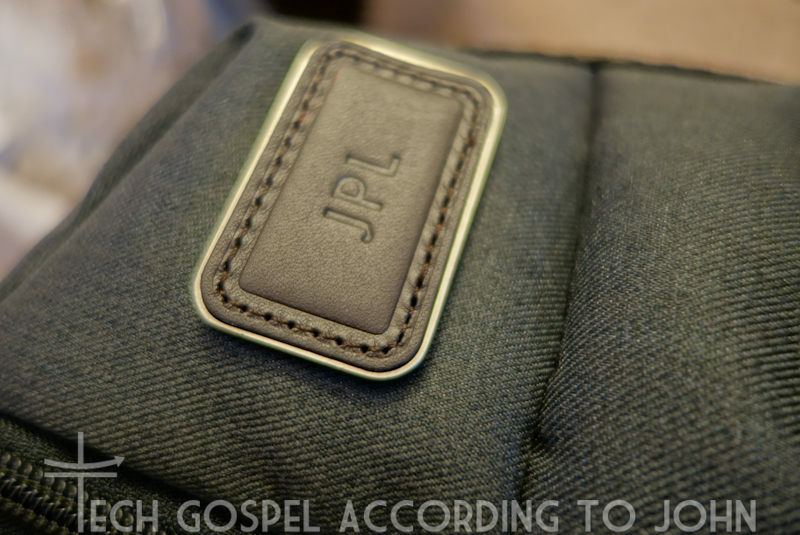 Be careful when removing items (Like the nylon key loop in the side pocket) as they may snag on the zippers. Which is related to my next observation. This bag is NOT waterproof. I wouldn't even say water resistant, the issue being the large gaps between the zipper teeth. The bag's lining and nylon construction should be fine in light to moderate rain. One of Tumi's services though is a nice free Tracer program. No, it's not an app. Nor is it a chip inside the bag. It's a simple serial number registry to the original owner. Should you lose your bag, anyone that decides to be a kind stranger can call Tumi and report the number on the bag. 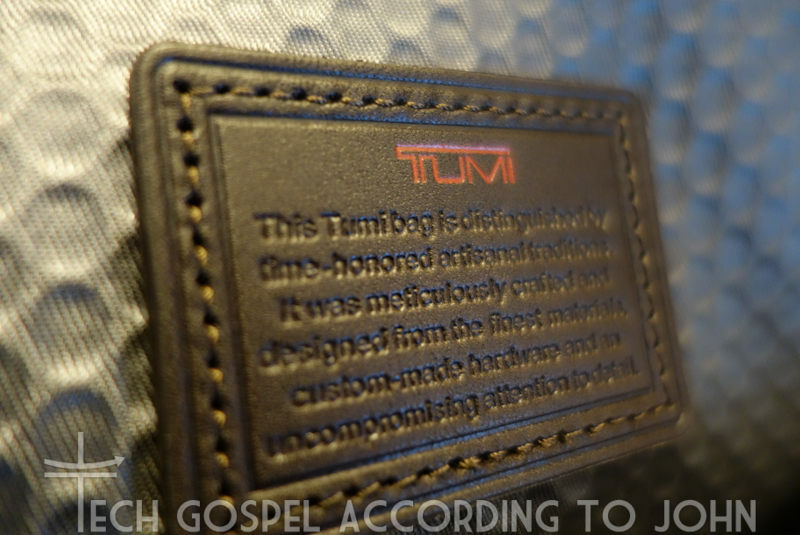 Tumi Worldwide will inform you that your bag has been found. Nothing fancy, but a nice value-added service to have. All in all, I'm quite happy with this bag. I picked this over the Pacsafe Z250, which isn't a bad bag. Just not what I was looking for in a city/everyday bag. For my laptop needs, I do have a Pacsafe ScanSafe 13 (sadly discontinued) which is such a blessing at airport security checks.